When there are apps like WhatsApp for instantly connecting and sharing important messages, media and documents. 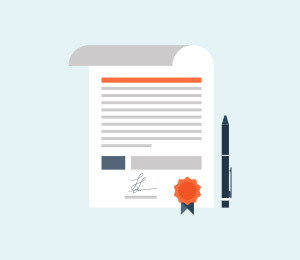 You are no longer dependent on physical presentation of documents in most cases, as WhatsApp dominantly suffices the need. But, when you accidentally lose or delete any important message, things become bit tricky. However, you don’t have to mourn over the data loss, we are here to help you with WhatsApp deleted messages recovery apps. 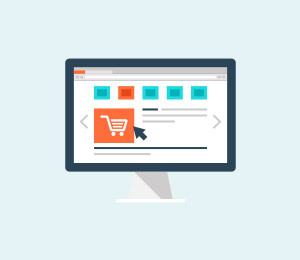 Go through the article and explore the options. Among the WhatsApp chat recovery apps, dr.fone has the most effective solution for you. The following sections would enlighten you in detail about them. Having your WhatsApp messages deleted from your iPhone is painful. Because, you got to find the right WhatsApp data recovery software, which can seamlessly retrieve all the lost data. as you know, most apps promise to but hardly recover WhatsApp data properly on iPhone. dr.fone – Recover (iOS) can work works wonders for you. Contacts, media, WhatsApp and a lot more can be retrieved using this application. 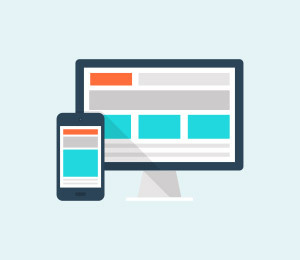 It supports all iOS versions and runs on both Windows and Mac computers. These are effective than WhatsApp message recovery apps. Recovers lost data from any data loss scenario including a stuck device, iOS update failure etc. You can use this WhatsApp recovery software for recovering data from iPhone, iTunes or iCloud backup files. The best part is you don’t undergo any data loss with this software. 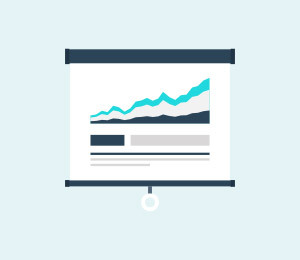 You can recover and preview data selectively and completely with it. It has highest recovery rate in the industry. When you have an Android device, you can alternatively try a WhatsApp message recovery software such as dr.fone – Recover (Android). This tool not only can recover WhatsApp data but also a varied range of other Android data as well. If your Samsung device is broken, even then it is capable of recovering the data. Compatible with over 6000 Android device models along with Samsung S7. It selectively previews and recovers Android device data. 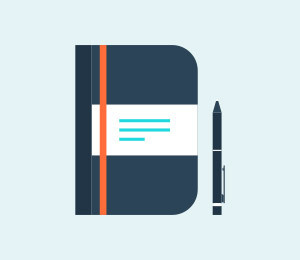 Notes, WhatsApp, call logs, text messages etc. along with various other data types can be recovered with it. Support various data loss scenarios, including data recovery from rooting, ROM flashing etc. It is the first Android data recovery software of the world. Now that you have knew the best WhatsApp recovery software for Android, we would like to show you some WhatsApp msg recovery mobile apps as well. Here are the 6 Google Play Store WhatsApp data recovery apps that we have collated in the following part of the article. 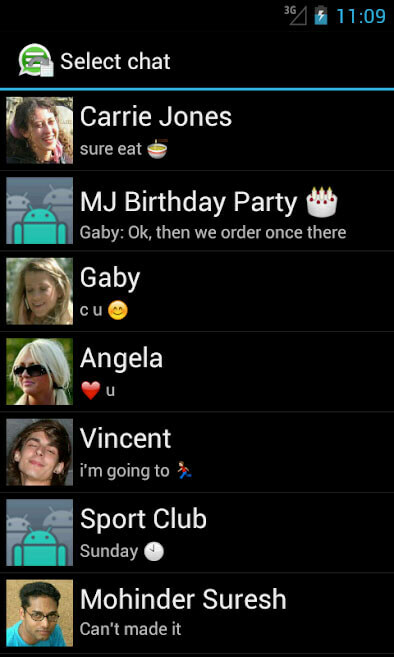 Searching for WhatsApp deleted messages recovery software, you can go for Android apps like Backup Text for Whats. You can recover WhatsApp messages and convert them to Excel, plain text, and HTML file formats. These files are readable on your system and Android device as well. Moreover, exported files are transferable to SD card and by email as well. It supports Unicode UTF-8 encoding without or with BOM. Supports emoji characters in text format. You can filter data by chat, date, and message type and sort them as well. It supports plain text format on Windows, Unix, Mac. The supported emojis can be displayed only on Windows 7, Mac OS X 10.7 or later only. The ‘filter by chats’ options went futile for some users. App crashes during chat history loading. Among the WhatsApp deleted messages recovery apps, this one is a remarkable one. You can backup and restore data for your Android device. Call history, contacts, SMS, apps (including WhatsApp), calendars can be backed up to your SD card, Gmail or Google Drive. You can even restore them from your SD card. A single click allows you to share APKs with others using this application. You can upload scheduled backup on your Gmail or Google Drive. 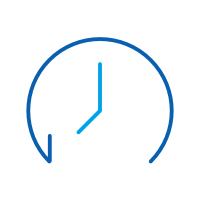 It allows you automatic backup scheduling. Root access is required for backup and restore. Auto-backup won’t run when you enable task killing apps. It contains Ads, which might annoy you. You can’t backup or restore bookmarks. 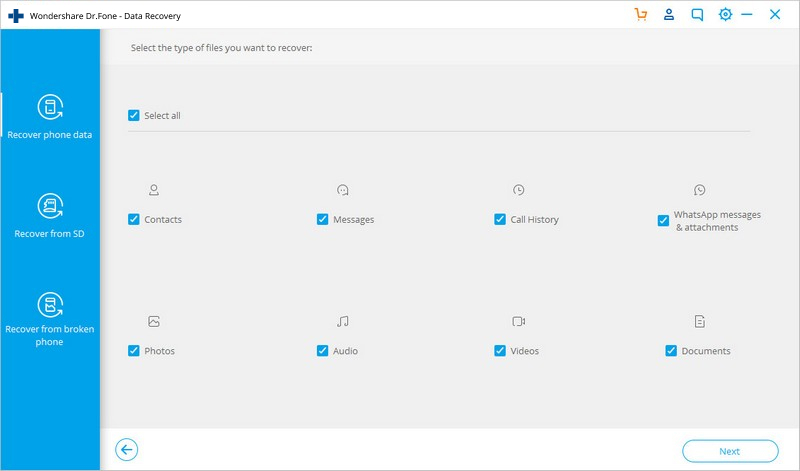 If you are searching for a WhatsApp message recovery, then Restory is such WhatsApp message recovery app. It can show you a deleted message on WhatsApp. You will see a notification on Restory, whenever a message gets deleted without any delay. Quickly informs you about WhatsApp message deletion. Very easy to use, even for novice users. It can read even the deleted messages that you haven’t read yet. Deleted messages can be viewed but, later you can’t see or save them. Some of the Android users have reported the app is not working on their device. Deleted videos are not available on the device to be viewed by users. It doesn’t download all deleted messages from WhatsApp. 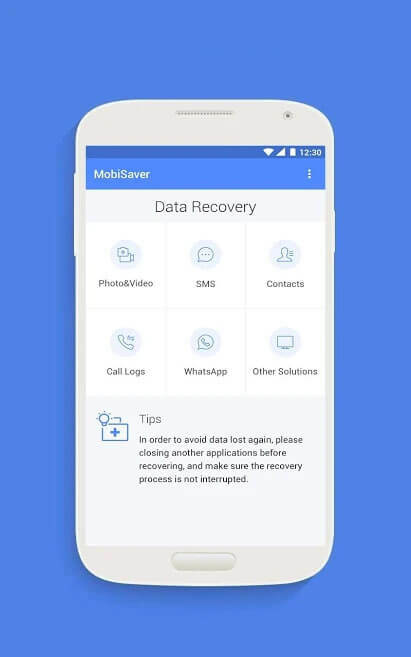 EaseUS MobiSaver is a, photos, text messages, videos, contacts, call logs, and WhatsApp messages recovery app for Android. It can recover data from microSD and internal memory as well. It supports JPEG/JPG, GIF, PNG, BMP etc. image formats and MP4, 3GP, MOV, and AVI videos. It allows you to automatically find out whether your Android device is rooted or not. Using it doesn’t need rooting, unless you want to recover deleted pictures and videos. It searches the thumbnails and cache to locate deleted files though quick scan for unrooted Android devices. A deep search of device memory is done for tracking missing videos and photos for rooted devices. Recovering data need you to pay money. Sometimes the full paid version also fails to recover data. 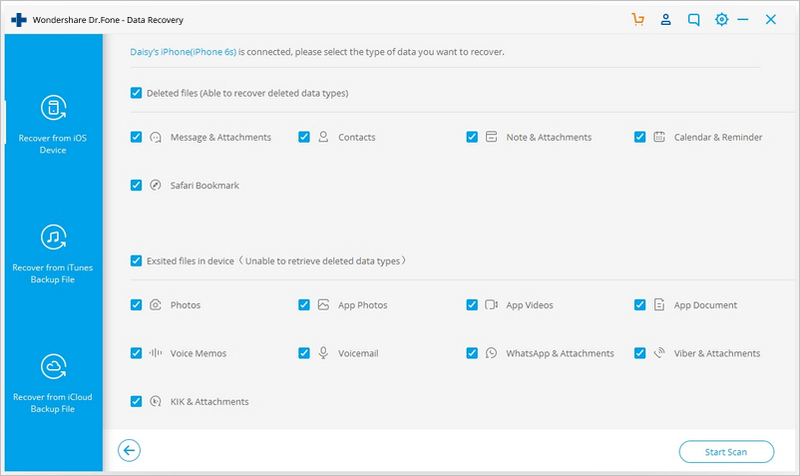 The recovery option often shows existing data on Android device rather than the lost ones. User interface is pretty confusing. 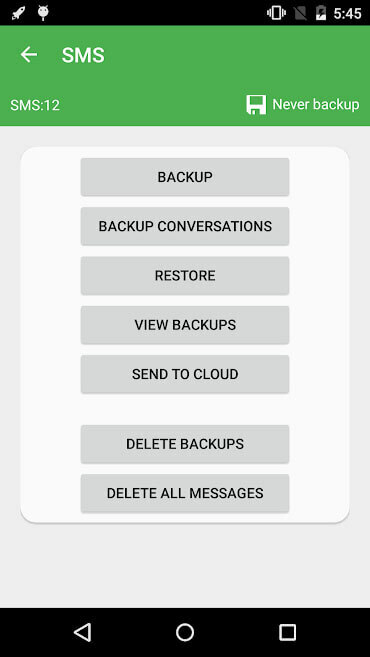 This WhatsApp recovery app enables you for backing up and recovering WhatsApp conversations, audio, video, photos and voice notes as well to Google Drive. If you have a new Android device, this backed up data can be restored there too. It compresses and synchronizes backup to your account. It also encrypts the backup data. You don’t need internet connectivity to create a backup, once it syncs with Google Drive account. Your data is safe and can be restored to a new device upon losing the Android phone. 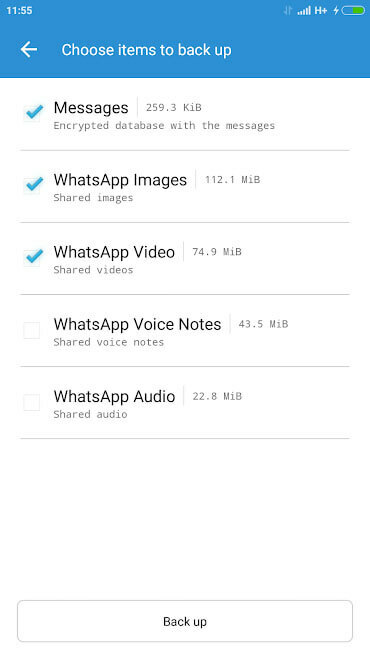 Auto-backup only backs up media from WhatsApp not WhatsApp chats. Users reported that you got to reinstall WhatsApp to restore with this app. App keeps crashing every now and then. Errors crop up while running the app. All Backup Restore is one of the WhatsApp recovery apps that you can use to restore data as well. 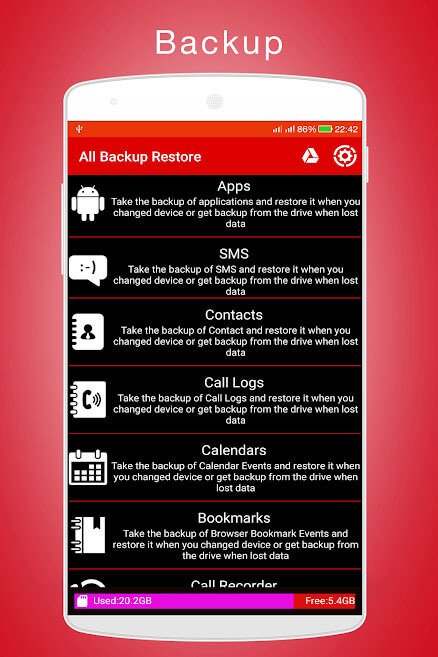 It supports backup and restore of apps, WhatsApp, calendars, call logs, contacts, browser history etc. You can save the data on your Google Drive too. 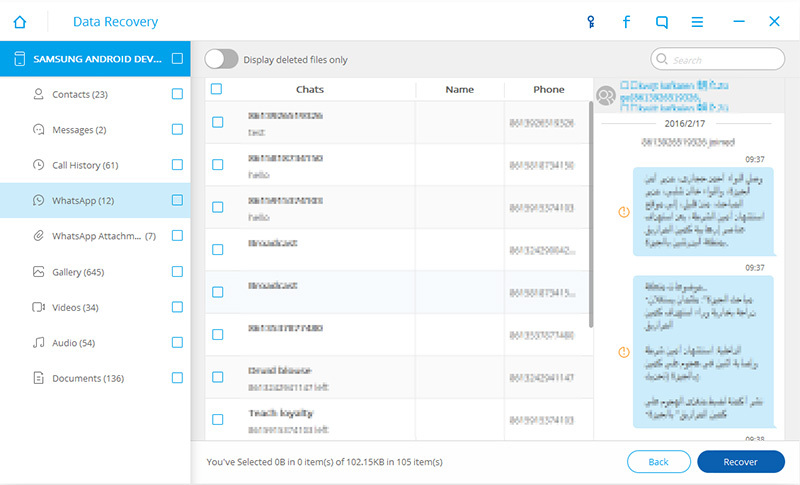 Automatic backup of data is allowed by the app. Scheduled backup is possible for taking automatic backup. You get notified, once the auto-backup process is complete. Available free space on your device is displayed at the top of the app. 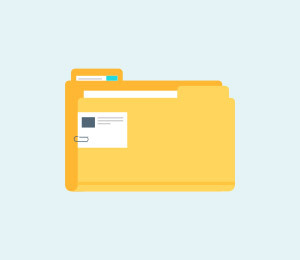 Permission to the app is required to upload and extract backup from Google Drive. The app interface is not so user-friendly. 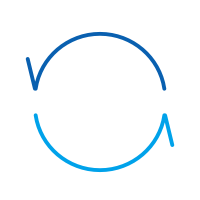 Users complained about improper backup restore. CSV file recovery went futile according to some user reports. From this article, no doubt you have got a lot of WhatsApp recovery apps to recover WhatsApp messages and attachments. But, when it comes to complete WhatsApp recovery, drfone– Recover wins the race. Be it an Android or iOS device, dr.fone – Recover never fails to amaze you with the world of solutions it has for you. Getting WhatsApp data recovered with the best software is possible, without any data loss and with utmost security. Because, dr.fone – Recover is there to lend you uninterrupted support! If you consider the Android version, it supports 6000 plus models for recovery; which is one of its kind in the world. Even, for iOS device data recovery, it acclaims to be the pioneer in the market. Learn what exactly is the last see at feature WhatsApp offers and how to turn it off if you don't need it. Have you accidentally deleted WhatsApp messages? Here's how you can easily get them back.